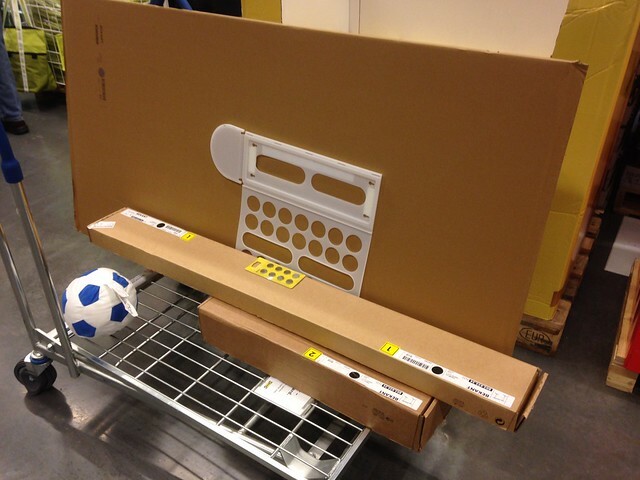 Disclaimer: This is not a review unit (I bought it) & IKEA is not paying me (or even aware I am producing this review). There are no affiliate links here, I was already a standing desk person & I lived for three years on a crappy folding table for a desk. YMMV. I love this desk. For the price tag, it's amazing & wonderful. Seriously, rainbows-unicorns-and-fluffy-bunnies-kind of wonderful. If you love standing but don't want to drop a huge amount, buy this desk. The Bekant line is a relatively new addition to the IKEA family, introduced to replace the Galant line. 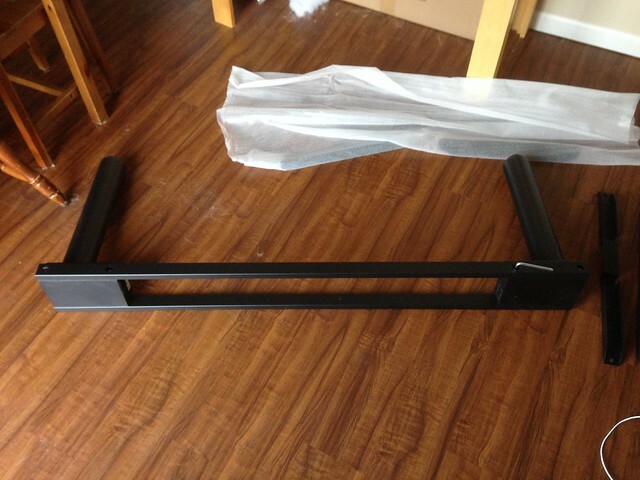 In typical IKEA fashion, the parts are largely interchangeable, so you can choose your combination of table top & legs. However, what's new is the addition of Sit/Stand variants. 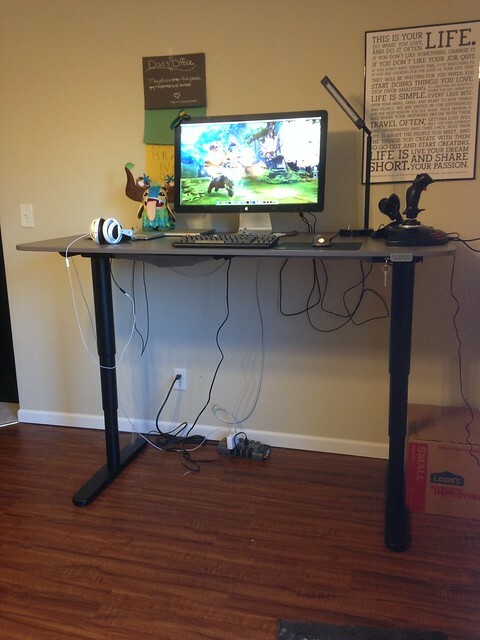 All previous IKEA desks were sitting versions, though there have been plenty of standing hacks created. The Sit/Stand variants include a normal desk, a 5-sided desk & a corner desk. For our living space, the normal desk was the best fit for me. Of the eight combinations of table-tops/legs, I chose the gray/black. You get to the warehouse & need to grab three boxes (1 table-top, 2 underframe). If you have trouble lifting, you're going to need a friend. The frame is heavy-ish & the top is bulky. You'll definitely need some space for the build. All tools are included, but having a ratcheting screwdriver or a drill will make life better. I mostly hand-tightened things & the construction only took around 30 minutes. Putting the frame together was a breeze. Well-machined parts, no burrs or sharp edges, excellent hardware. The legs are fully self-contained, so you're really just putting on the feet & securing the crossbars. I was really impressed by this part. I was expecting worse, but the parts were great, feel strong & fit well. The table-top itself is about what you'd expect. A nicely laminated particle board with accents. Nothing fancy, but it'll more than get the job done & it's a huge improvement over my previous plastic folding table. Adding the legs was simply putting on the mounting brackets, then placing the completed leg assembly onto the underside of the table-top & securing things in. If there's any disappointment in this desk, I had it at this point. 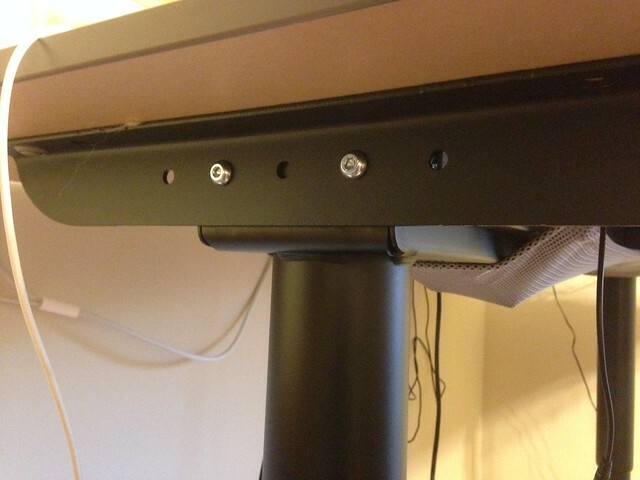 The mounting went fine, but the brackets are secured to the underside of the table-top by plastic pressure bolts. They seem fine in practice, but compared to the quality of the rest of the build, they felt underwhelming. IKEA blew me away on this one. Each leg has the motor at the top, with two power connectors. The power is supplied via a separate power brick, with a custom multipin connector to a leg (doesn't matter which). That leg is then connected to the other leg via a similar double-ended cable. Finally, the up/down control box plugs into the final port. The connectors are nice, connect easily (& only one way), yielding a "Click" once they're properly seated. The ability to chain the tables together seemingly any which way is very nice. 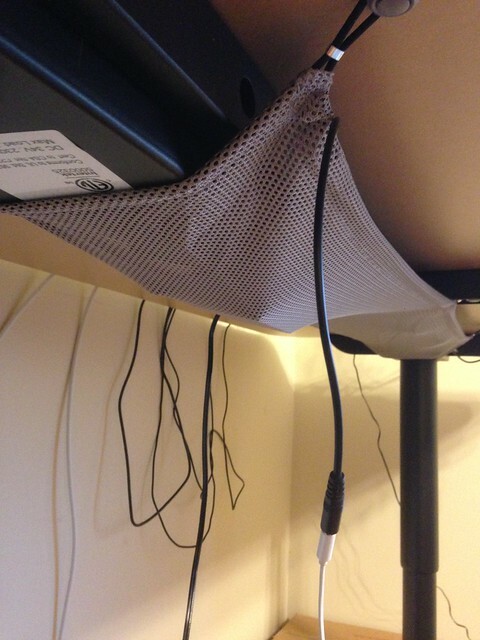 The cable management is a nice net, secured by the same type of plastic pressure bolts. It hugs the bottom of the table, holding the power brick, but has room to spare for other things. Really impressed by the modularity & the ease of setup here. Clearly, lots of thought went into the design & construction. The desk feels great in practical use. It can go as low as 22 inches or as high as 48 inches. I'm 6' tall & I don't come anywhere close to maxing out the vertical height. The motors are smooth, reasonably fast & pretty quiet. 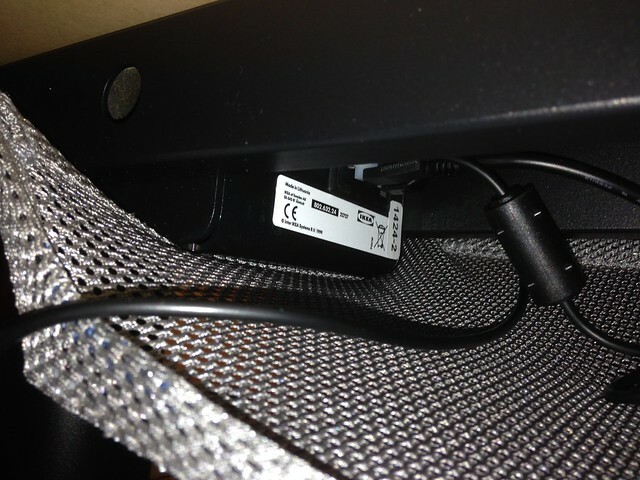 I've used a GeekDesk & found the Bekant's motors to be quieter & less-intrusive. They're also pretty precise, allowing fine-grained adjustments to ensure the perfect height is reached. The only downside here is there's no unit memory or presets, so if you're up & down a lot, you'll be doing a lot of manual adjustments. The table-top feels massive. At 63" wide by 31.5" deep, it's an enormous 1,984" sq. My old desk was 4' x 2', so this gives me 72% more room. Plenty of room for my monitor, laptops, headphones, keyboard, mouse, lamp & other things without feeling crowded in the slightest. I've been doing standing desk as much as I can for almost 4 years now. In the past, to get my standing desk fix, I've used a filing cabinet, done a DIY standing desk out of a drafting table+ wood, an official standing door desk & temporarily borrowed a GeekDesk while on-site. I can confidently say that this desk was worth the wait. At sub-$500, it's a fantastic deal. It's a well-thought-out design, the build quality is pretty great & it's wonderful to use. I highly recommend this desk. By on February 8, 2015.